How does vinyl flooring compare with other flooring types such as carpet, laminate, ceramic tiles, natural stone or real wooden floors? I’ve put this page together to tell you bit about the advantages of using vinyl flooring in place of these other types of flooring. Whilst reading this guide below the one thing you still need to bear in mind that vinyl flooring is the same either. 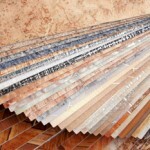 There are a lot of different types of vinyl flooring. It comes in vinyl sheet or vinyl tile form and a variety of different brands, qualities and finishes. For the purpose of this article assume that we are talking about all good quality vinyl floor covering as Alliance Flooring don’t supply low quality vinyl. 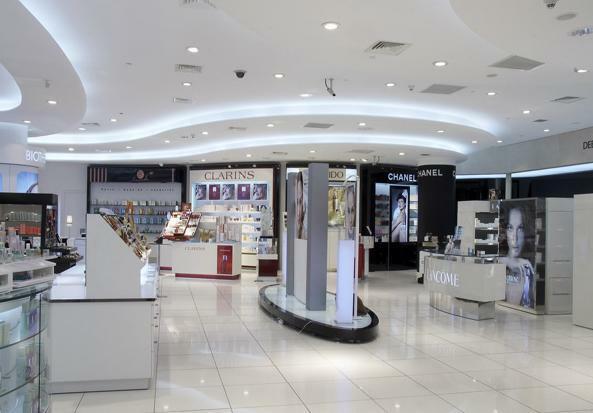 Alliance Flooring specialise in vinyl flooring for all types of use from wetrooms and bathrooms to commercial shop flooring and hospital flooring. There are plenty of practical reasons to choose a vinyl floor over carpet. Below are some of the key reasons. 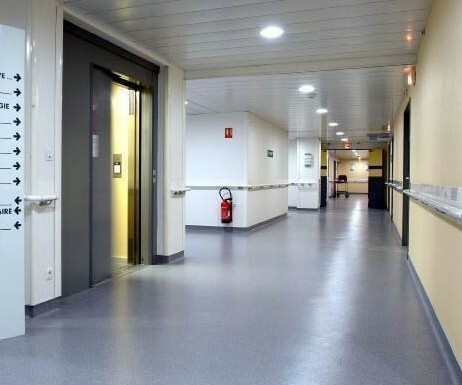 From a health point of view, vinyl floors do not hold dirt or harbour bacteria and dust mites like carpets and rugs do. Did you know that a typical carpet weighs double the weight when it is removed than when it was installed. This extra weight is mostly down to dust mites and their excrement. Most people are amazed when we inform then of this. Vinyl flooring is much simpler to clean, even if you are busy or have pets and children to clear up after. It is easily wiped or mopped clean in no time without fear of damage to the surface. 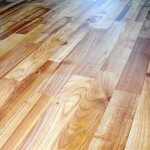 Therefore you can keep your room floor looking new for much longer. The durability of vinyl flooring is far high than any type of carpet. 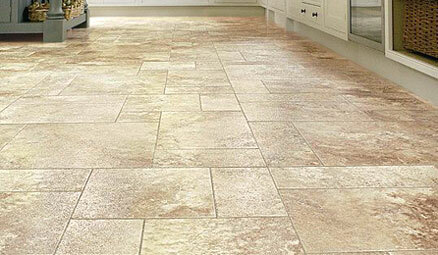 Some of our higher quality vinyl flooring such as Karndean come with extensive guarantees, even up to 20 years. You simply won’t find a carpet with that kind of durability, let alone a guarantee as long. 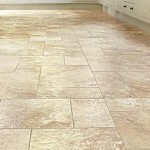 Vinyl Flooring can be used in conjunction with all types of under floor heating systems. When using vinyl tiles (not vinyl sheet) it is possible to replace single tiles of flooring in the unlikely event of it being damaged. This is a huge advantage over carpet where the entire carpet or carpet section would need to be replaced. It’s worth mentioning that in many commercial flooring installations we have installed a mixture of vinyl flooring and hard wearing carpet. 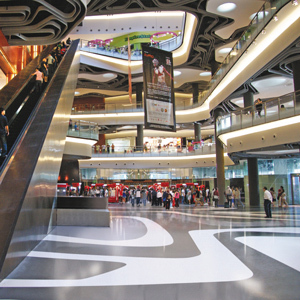 The vinyl tends to be used for area’s of heavy footfall and carpet in area’s with less human traffic. 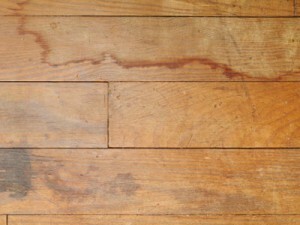 Many customers aren’t aware of the difference between laminate and vinyl flooring. Laminate floors or course are made from MDF or HDF with a laminate pattern overlay stuck on the top. where as how vinyl flooring is made is usually by having pigments mixed in to the polyvinyl material when it is being made. 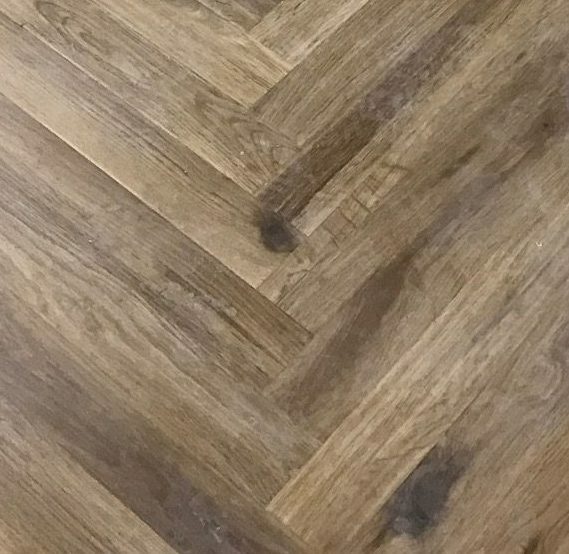 Some replica effect flooring such as wood effect floors or stone effect vinyl floors are printed but in a far more resilient method than laminate. Vinyl floors just isn’t in the same league as laminate flooring. Quite simply the quality, colour, finish, effects and guarantee is much better from most vinyl floors. Due to the materials used to manufacture laminate, it can curl or shrink, stain and be susceptible to water damage just like real wood. Where as vinyl flooring will keep its shape throughout its lifespan and is resilient to damage from water and stains, even from most heavy duty cleaning chemicals. Vinyl flooring is hard wearing than laminate floors. 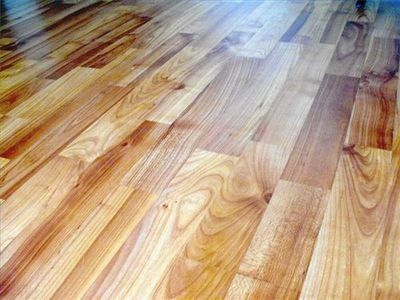 Wooden effect vinyl floors give you all the same appearance of natural wood without the difficulties. Real timber comes in varying quality and can shrink, expand and warp. Vinyl flooring maintains the same shape and size for the duration its lifespan. Real wooden flooring is extremely susceptible to temperature changes, and if it gets too wet it can be damaged beyond repair. Vinyl flooring can handle changes in temperature better than wooden floors and is damage resistant to spills of water and even flooding. All types of natural stone can be hard to manage and weight can also be a problem when fitting to upstairs areas. Vinyl flooring is far lighter, more flexible and easier to install. Vinyl floors are warmer than stone – the coldness or marble and stone tiles can be uncomfortable and off putting. 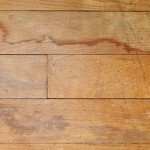 Textures and safety grains built in to vinyl floors can help to avoid slippery surfaces even though they look polished. this can be a particular issue in areas that get wet, like the bathroom, kitchen or hallway – which typically tend to be the area’s that stone and tile floors are chosen. Many polished stone or ceramic tiles are an obvious safety risk when wet yet they are still chosen for their aesthetics. By using a stone effect vinyl you can have the best of both worlds. Vinyl flooring is quicker to lay than many other hard flooring products including timber and stone. Granted it can be quicker to fit a carpet but given the hygiene advantages and life longevity you may install three carpets in the time you have one high quality vinyl floor laid. Because most vinyl floors are so hard wearing and resilient they will stay looking new for much longer than carpet, laminate and even some floor tiles. And one of the most under appreciated bonuses of vinyl floors is that they can be cleaned easily with ordinary household cleaning chemicals without the worry of reactions or damage. Alliance Flooring specialise in floor fitting all kinds of vinyl sheet or vinyl tiles. As well as fitting, Alliance Flooring can also supply your materials at fantastic rates much lower than the high street. Whether you require a supply and fit or fitting only, please get in touch for a chat or free, no obligation quote.